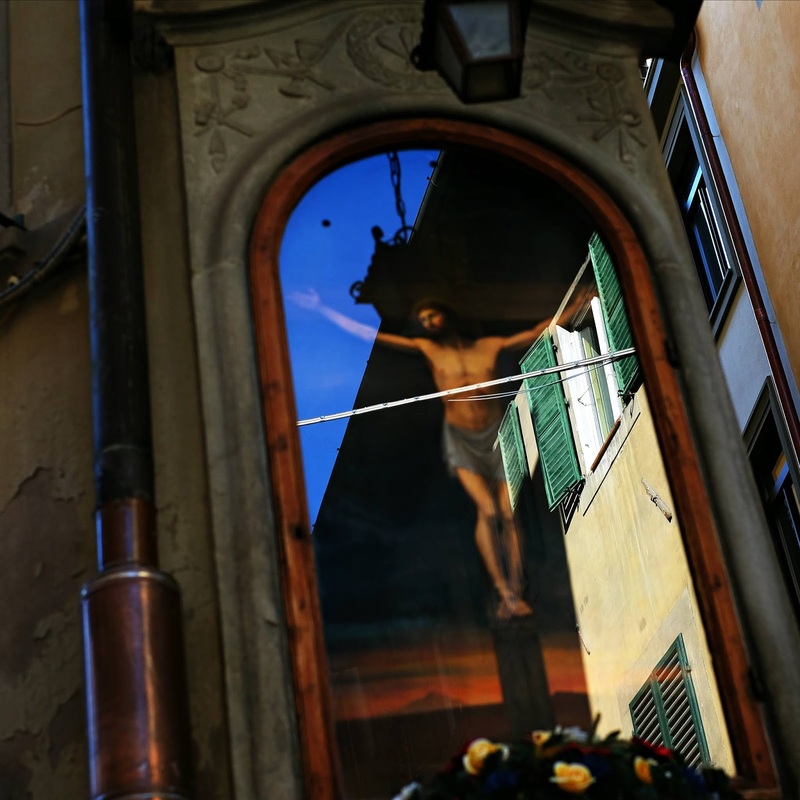 Paintings like this are on the outside of buildings throughout Italy. They are usually behind glass and have flowers or other decorations. They are like miniature sanctuaries right on the street. The glass on this picture is reflecting a window, a hanging lamp, and the sky. 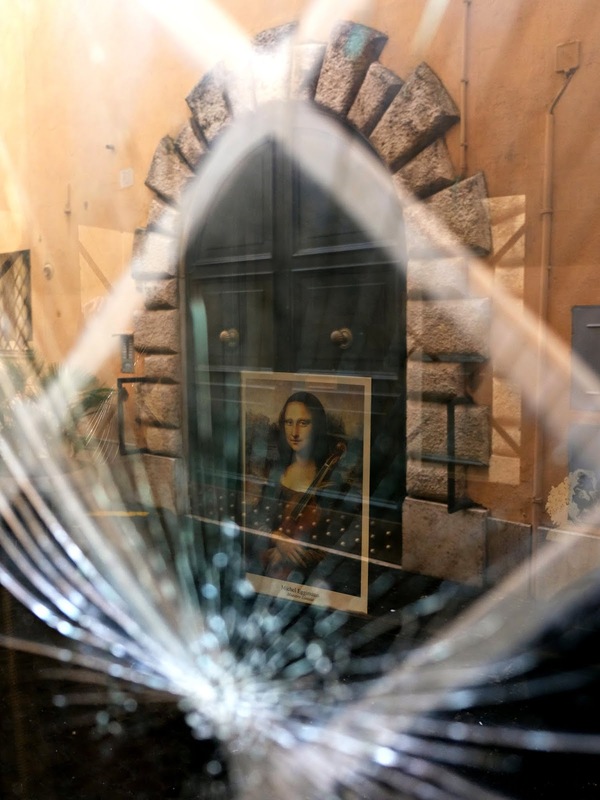 The Mona Lisa poster is not a reflection. The doorway and wall are reflected. 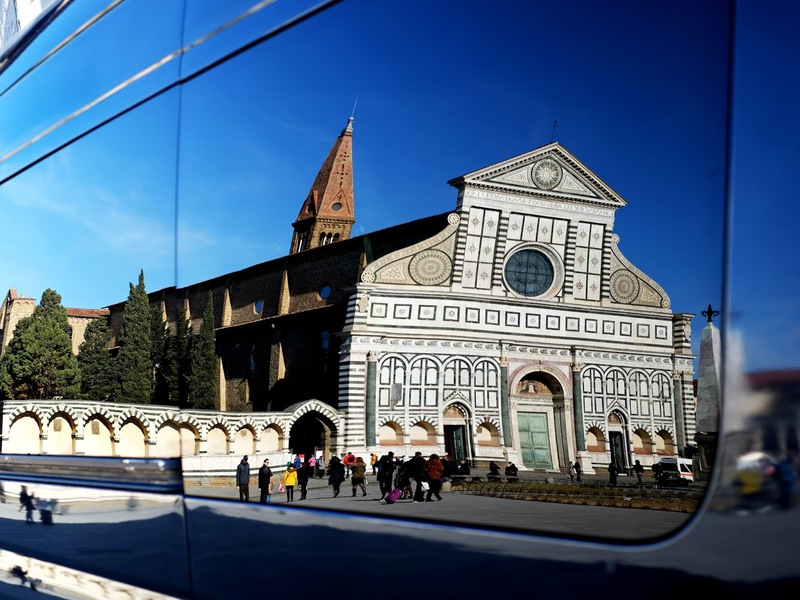 Santa Maria Novella church and piazza reflected on the side of a shuttle bus.